Video Marketing: How Virtual Reality Can Improve Your Marketing! Virtual reality and 360 videos have been around for a number of years but it is only in the last couple of years that brands have started using this new technology to market themselves and reach a larger audience. A decade ago if you imagined that you’d be able to go shopping without leaving your sofa and still be able to see the product in front of you, you’d think it wasn’t possible. With nearly everyone digesting their news or social media through smartphones, it is inevitable that the best marketing strategy would be based around these devices. Brands can potentially reach an audience of around 2 billion smartphone users who can enjoy 360 degree videos in the comfort of their own homes. 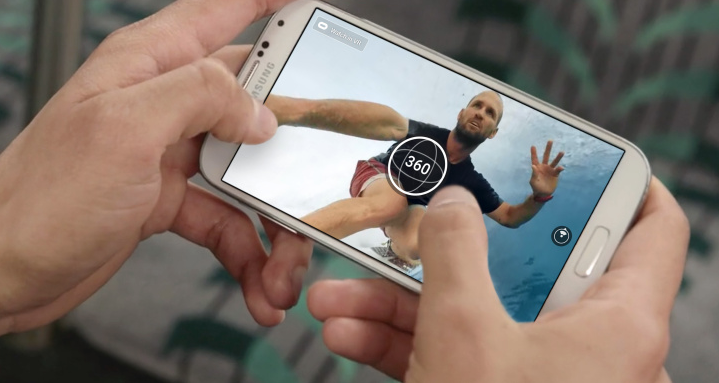 360 degree videos allow brands to put viewers and users actually inside of an experience. Makers of 360 video want audiences to remember that it’s not a gimmick, it’s made through creative filming. Brands need to make sure that even if you are using a 360 degree video to promote your business, you need to still focus on a core message and know your target audience, and don’t forget that what you’re saying and that the content is also very important. There are clear benefits of using a 360 degree video when including it into your marketing strategy. 70% of marketers who have used 360 degree videos say it has increased engagement for them. It was first picked up by Google Street view and then it started being used in industries like security, whilst UK film studios began to investigate the potential of live 360 film for events. 360 degree videos allow the viewer freedom and entertainment to view anywhere they want, some brands may not be ready to adopt this new technology but the research above has shown that the engagement in products received was a lot higher than standard campaigns. We believe that the unique value of 360 degree films is to take people to places they cannot otherwise go. We are able to offer the 360 degree virtual reality service and help you stand out from your competitors, if you’re interested in using this excellent marketing strategy, don’t hesitate to contact us, details are available on the website.